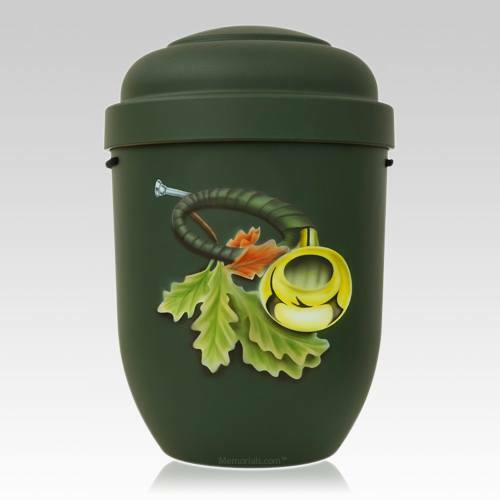 The Old Hunter Biodegradable Cremation Urn is made from natural biodegradable material. All colors used are water colors or food colors. The green funeral urn will depending on the soil naturally become one with our earth in 5-7 years. A beautiful natural green urn made from our earth to become one with our earth (we are earth and we will be earth again). "The urn is for my baby and it was the saddest purchase I have ever made. Memorials.com made it easy for me to purchase this urn, affordable with high quality. I hope I don't need you guys soon but if I do I will purchase from you!"